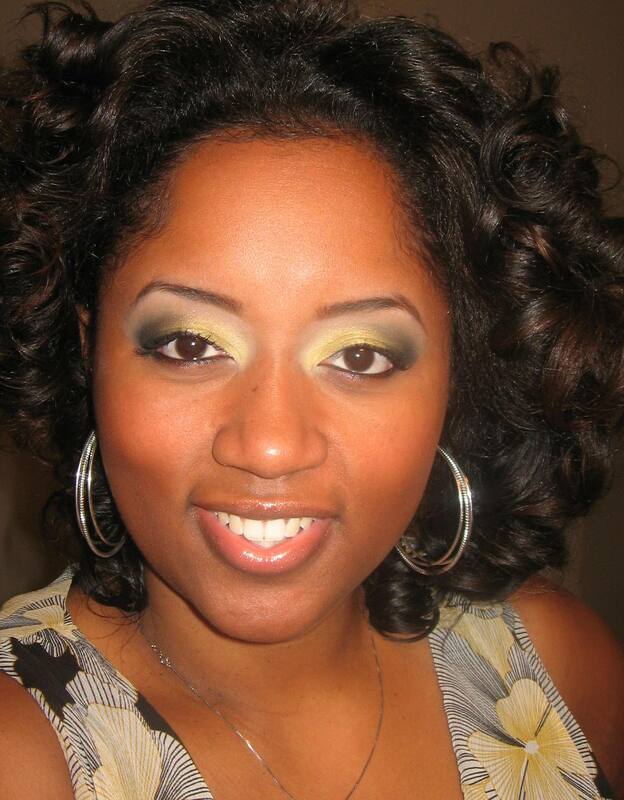 Canary yellow is the name of the shimmery mica powder I used for this look. I purchased it from Coastal Scents for next to nothing. Sample size: $1 for a teaspoon of product! I may be a product junkie, but I’m not a millionaire, so I can appreciate a company that sells high quality products at affordable prices, CS does just that… If you’re interested in some new e/s palettes, makeup brushes, micas, pigments, etc… Check them out! Oh & to all of you naturalistas & mixologists: CS also sells shea & cocoa butter, essential oils, fragrance oils & all kinds of things for DIY cosmetic products. *LOVES THIS* If you’re interested, now’s a great time to test the waters because they’re having a Memorial Day Sale… until midnight EST on May 30th… 20% OFF the entire store! 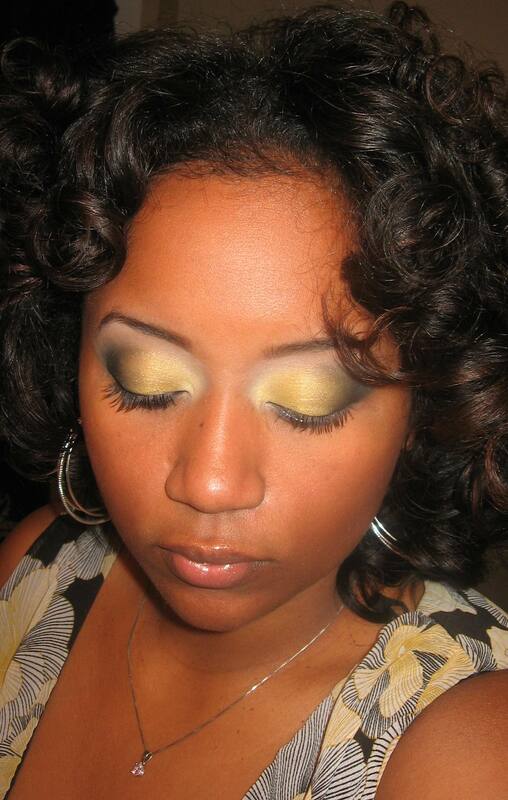 SHADOW: I covered my entire lower lid in Canary Yellow (a shimmery mica powder) by Coastal Scents. Then I applied matte camel from my crease to my brow bone & used matte off white e/s to highlight my tearducts & the arches of my eyebrows (WNW Vanity palette). I used matte black from WNW Greed palette to darken the outer v.
OTHER DETAILS… I used CoverGirl single e/s in Smolder to define my eyebrows. L’Oreal Collagen Mascara in Blackest Black on my eyelashes. I defined my upper lashline with WetnWild cream eyeliner in black. On my waterline, WetNWild eyeliner pencil in black.